I've been lurking for a long time reading through build threads from cyberkaa, kaiv, Redshift, and JeppeJ, and I've been dreaming about building my own someday. I started pouring over IAAI and Copart every day searching for the perfect donor car. In December, one popped up on IAAI at a yard just 40 minutes north of Salt Lake City. 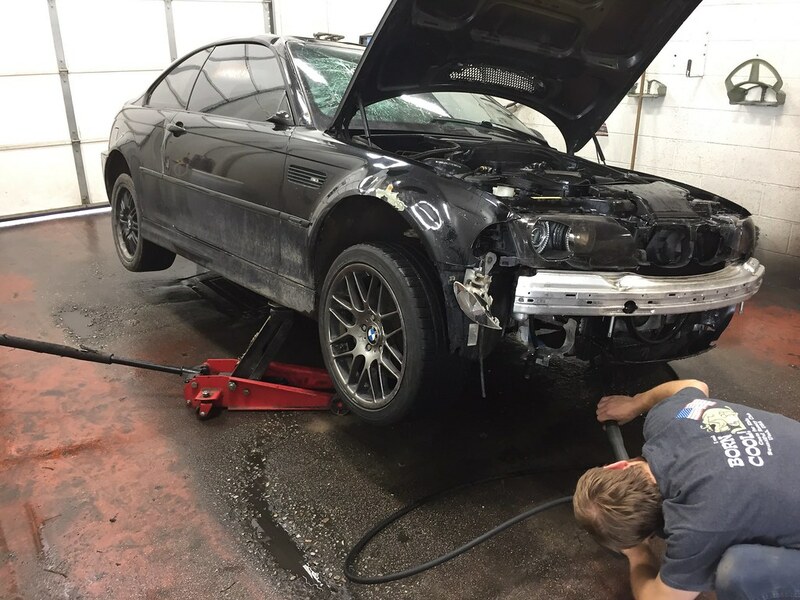 It was a 2001 M3 with a six speed with just enough body damage that someone looking to restore one would avoid it, because it had damage on almost every panel. It was just what I needed. I swear I checked that page three times a day for the next month before it finally went up for auction. I found someone from the local enthusiast group that worked as a broker to help purchase the car. We won the car with $100 under our max bid. After fees it ended up costing about $4,100. Good thing I'm getting a nice tax return this year. 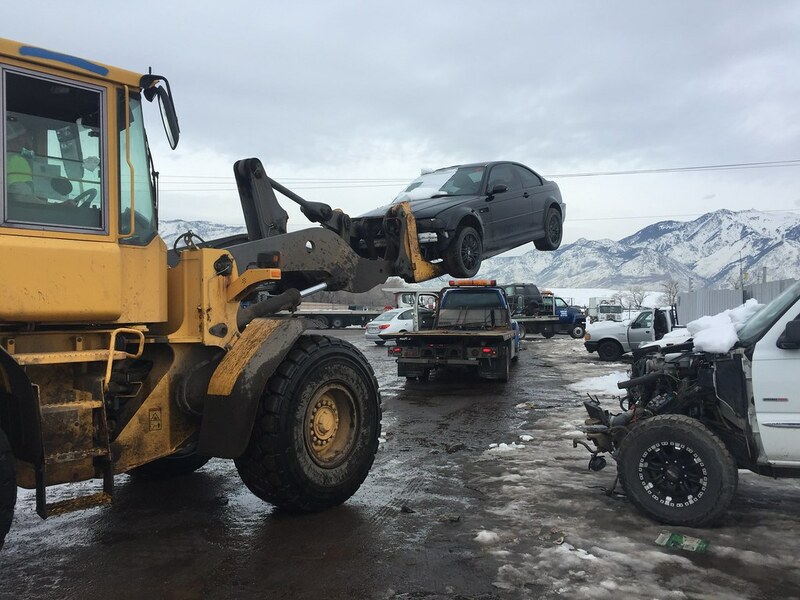 The car was listed as non running/non driving. I got it home and popped the trunk open and immediately found the cause of the problem - one of the battery cables wasn't fastened down. Bingo! I checked the fluids and fired it up. The car started up pretty quickly, but there were a few misfires, and around 8 codes. I let it run for a while and things smoothed up a little. We got it up on the lift to check things out. It was filthy underneath. Grime built up on everything. There was about 1/4 inch on top of the sway bar. Found a few good surprises though. 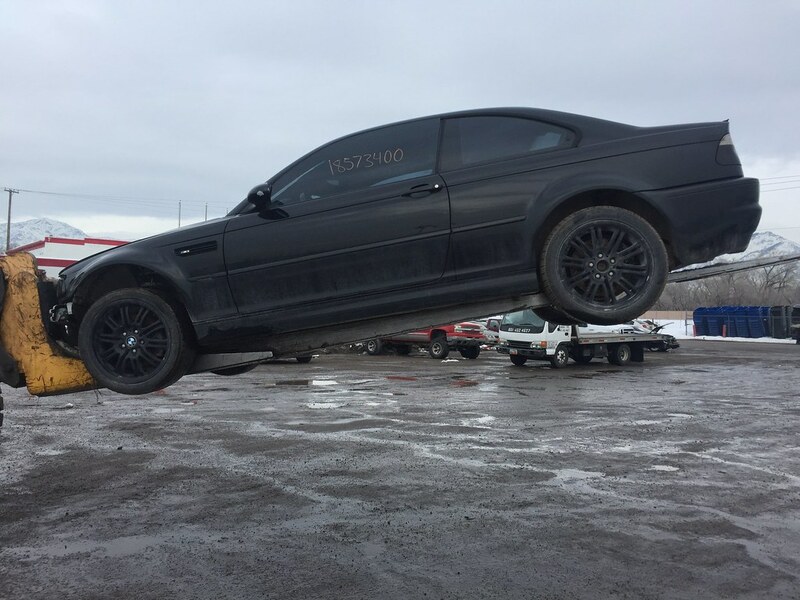 It's got Turner Motorsport sway bars on front and rear, plus a UUC Corsa exhaust that retails for $1,900. 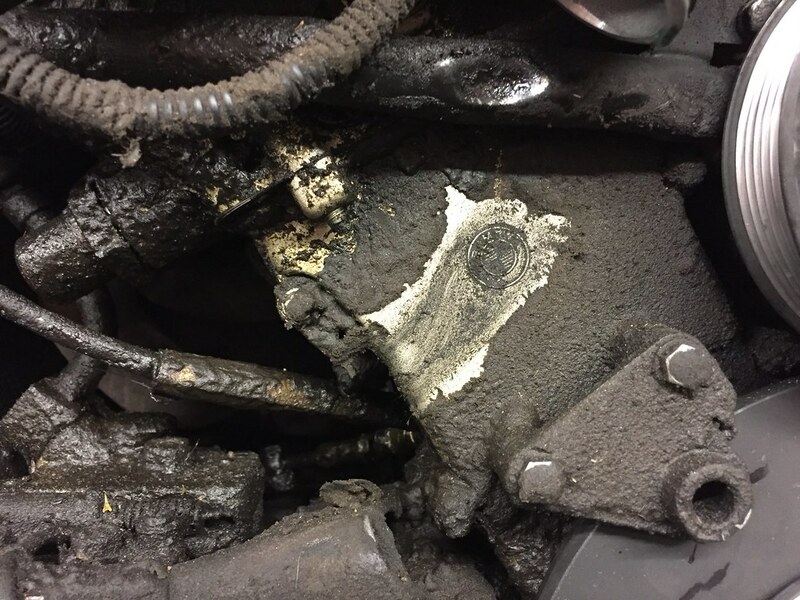 The bushings and suspension looked to be in good shape, and there were no real obvious problems other than the oil leak. We decided it would be good to clean things up before trying to tear it down. We pulled the car out of the garage and drove down to use the wash bay at my work. The clutch was slipping terribly. It revved super high but the speedometer didn't match. We limped it down there and got to work with the pressure washer and degreaser. After cleaning, we limped it back and checked the codes again. Three codes left. One for an oil temperature sensor, one for an EGT sensor, and one for implausible engine temperature, which I'm guessing goes along with the faulty oil temperature sensor. We got it on the lift and began teardown. Last edited by youinreverse; Thu, Feb-09-2017 at 11:17:27 PM. Subscribed ! Sounds like a long, painful and fun project. In for the Jared party. Your pics aren't working, try hosting them elsewhere. I use Photobucket personally; I don't like it but it works. Strange. I've never had any problems with Imgur before. Are they not showing for anyone else? Imgur and this website don't mesh at all, that is why. OP hopefully you'll fix it because the pics are awesome. I was able to see them by right clicking and grabbing the image address. I've rehosted the images on Flickr and edited the post. Hopefully they're showing up now. We got the car back in the garage and started on disassembly. First we removed the front bumper and all the associated supports. 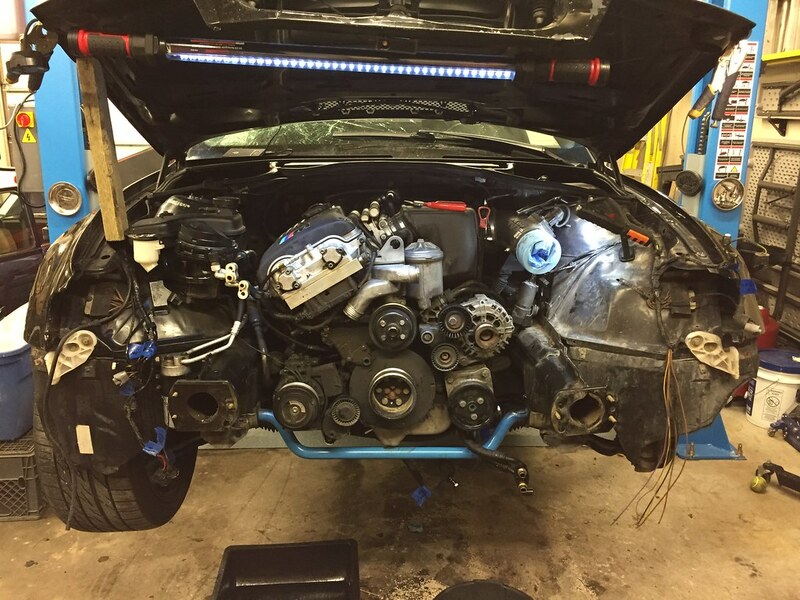 It's going to be way easier to get this engine out. From the outside, and interior, the car looked pretty badly neglected. Grime all over the engine, tons of trim pieces were broken, the slipping clutch, and other things pointed me to the assumption that the previous owner didn't give this car much love. Draining all the fluids was a pleasant surprise though. Power steering fluid had a small leak, but the fluid was pretty full and looked good. 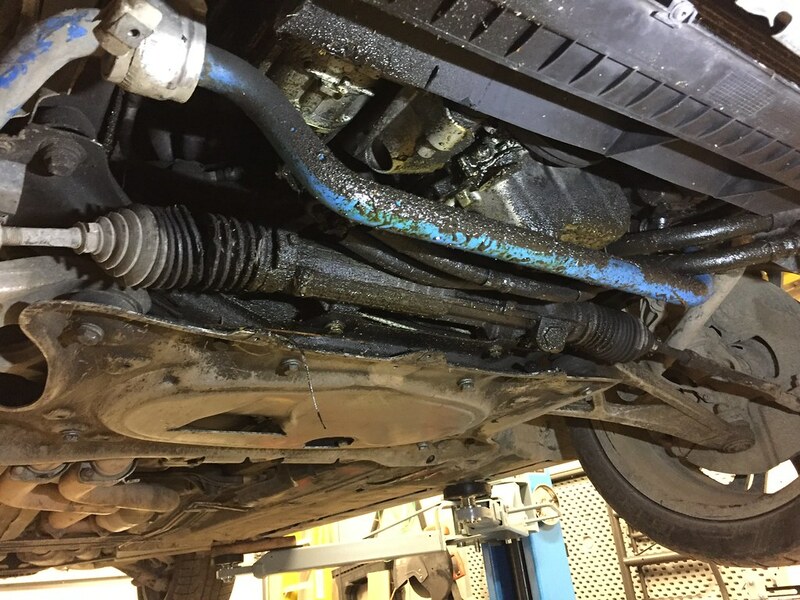 The coolant was the OEM blue, and it looked crystal clear. 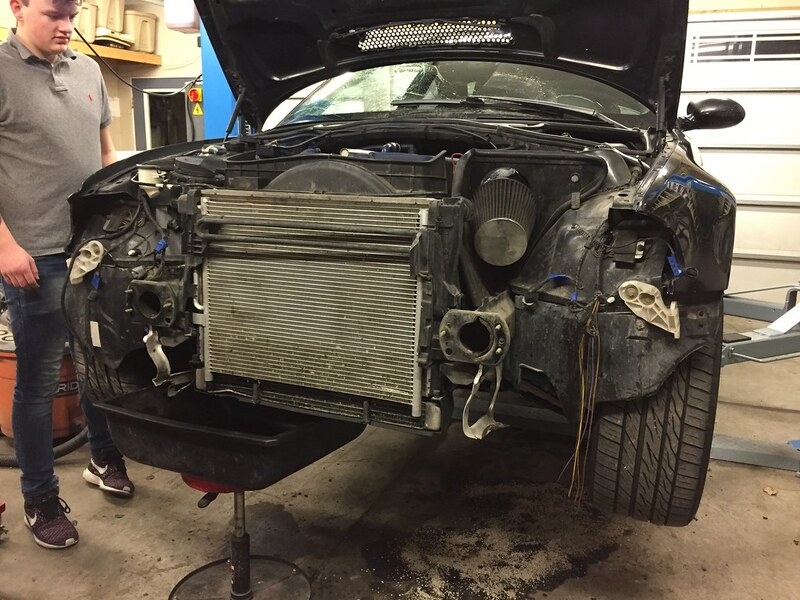 Once all the fluids were drained, we removed the radiator, condenser, oil cooler, and fan shroud assemblies. Now that we're in the standard Audi service position we can really get to work. 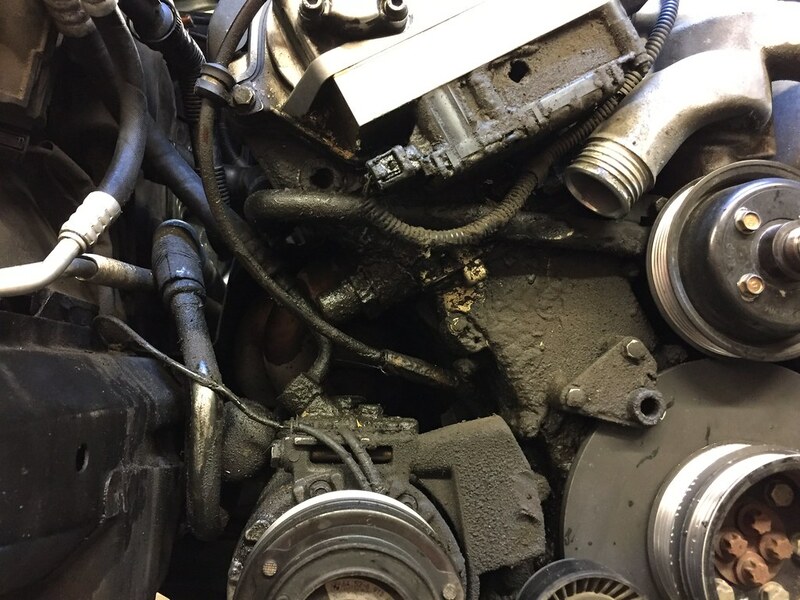 Removing the radiator revealed just how bad the oil leaks are on this engine. Everything on the passenger side of the block is completely COATED. Last edited by youinreverse; Mon, Aug-20-2018 at 10:08:23 PM. All times are GMT. The time now is 04:00:05 AM.